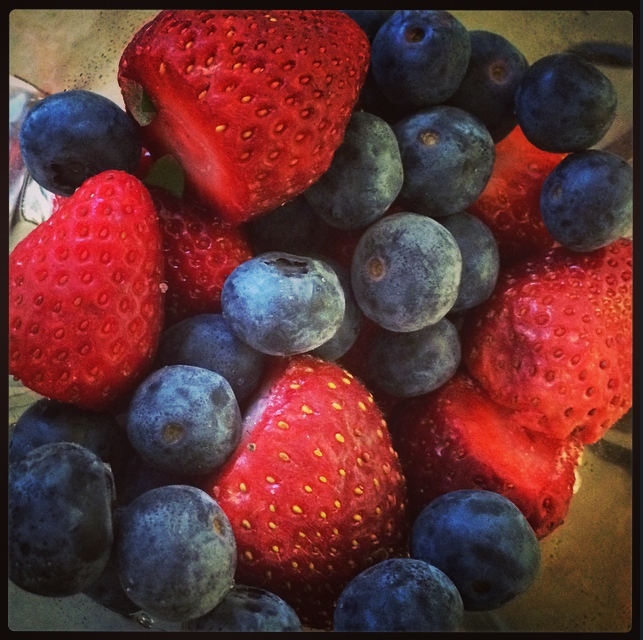 Put strawberries and blueberries in a plastic container and freeze for a minimum of four hours, preferably overnight. 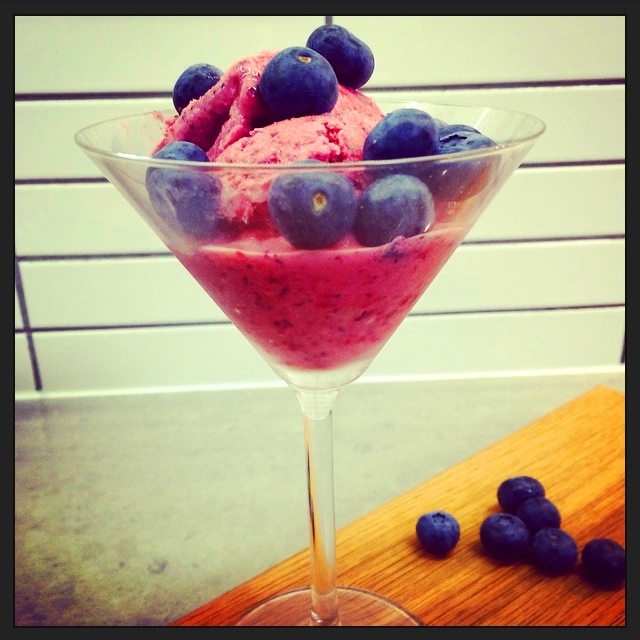 Put frozen berries, juice of a half a lemon, yoghurt and agave in a blender and blitz until smooth. Serve immediately (will be slightly runny) or pour into a plastic container and freeze. If freezing, allow time out of the freezer for the yoghurt to soften before serving. Holy deliciousness! 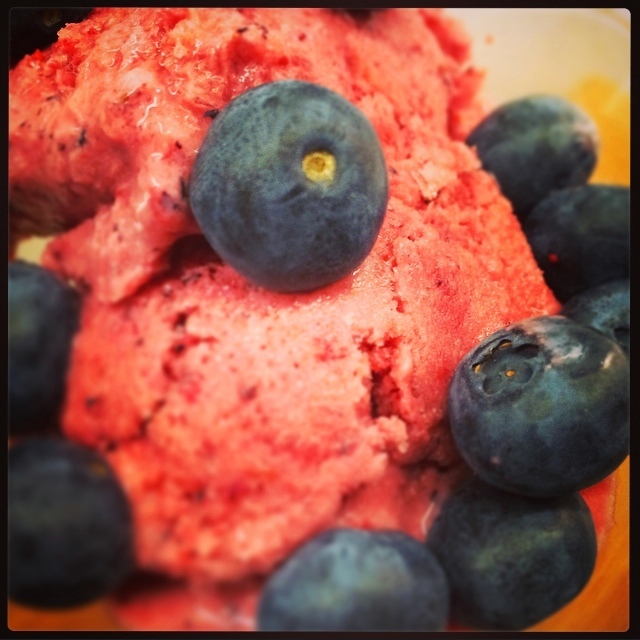 A satisfying sweet treat that won’t blow the calorie count! One Response to Berry Fro-Yo!